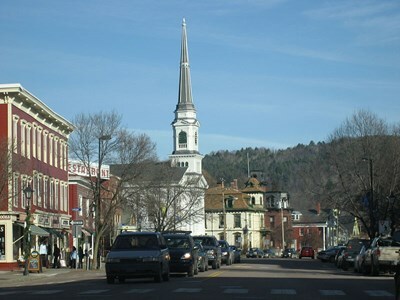 Vermont is a state in the New England region of the northeastern United States of America. The state ranks 43rd by land area, 9,250 square miles (24,000 km), and 45th by total area. It has a population of 621,270, making it the second least-populated state. The only New England state with no coastline along the Atlantic Ocean, Vermont is notable for Lake Champlain (which makes up 50% of Vermont's western border) and the Green Mountains, which run north to south. This description uses material from the Wikipedia article on Vermont and is licensed under the Creative Commons Attribution-ShareAlike License (view authors). 100 people want to do this. 40 people have done this. Drove to Burlington, VT in snow storm for our first honeymoon trip. Partied it up Magic Hat style. Flying is highly recommended unless you are 5 or less hours away.